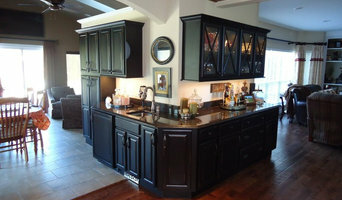 Caryn Boultinghouse Designs is a comprehensive Design Firm serving the St. Louis area. Caryn has been in the design business for over 12 years continuously satisfying her customers and their needs. I strive for unique interiors that reflect my clients' tastes, needs and lifestyle. Taking into account timelines and budgets, each space results in a distinctive, timeless interior. Since 1993, Peg Hammerschmidt has been working with clients to create their dreams and desires through extensive design knowledge, education, principles and reimagining their spaces. Fifi approaches each project with a keen understanding of the interplay of light, form and space. 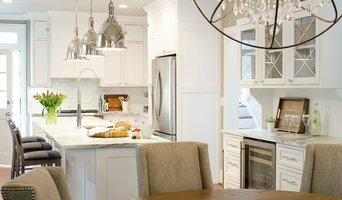 She guides clients though creating a singular style that transitions smoothly from room to room. Schaub+Srote provides full service architectural and interior design services. Believing that a successful project is not only artistic and beautiful but also functional, comfortable and sustainable. MJM Design Company delivers a full line of design services to residential and commercial customers on everything from remodels and redesigns to whole homes and single rooms. We infuse your wants and needs, while focusing on your guidelines and priorities. Together, we will create the best possible space just for you. I help clients achieve their goals for their space they are remolding from the first sketch to the finishing touches. Attention to details and thinking 'out of the box' for each individual. Directions In Design, Inc. (DID) founded in 1975, has many years of diverse experience. Our firm’s project base is built on extensive repeat business and a strong client referral network.